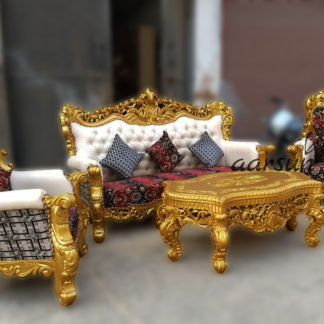 Aarsun Woods brings to you Dual Shade wood sofa set for your living room. 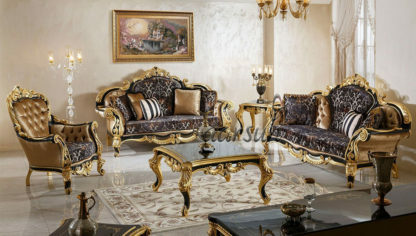 The 7 seater sofa set is made of premium quality Teak wood with finest carving. It has an elegant design which enhances the interior decor of your living room. 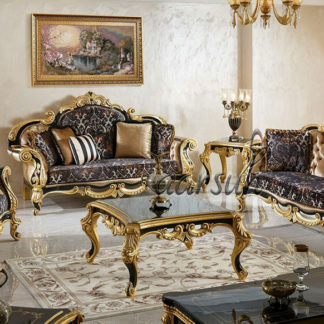 The upholstery of this sofa makes it very comfortable to sit while the fine carving back gives the traditional look to the set. The front base consist of fine carving similar to the upper back. The unit is supported by four beautifully carved legs. Teak wood is hard with a uniform medium coarse texture and has a natural resistance to decay. Each piece of Teak furniture will have a unique color, due to the well defined grain of the wood, which can be brought to a fine finish by hand polishing.